Can North America Compete with the world’s best? By any measure, it’s a tall order for an outsider to win the World Championship against any of Europe’s top professionals, who benefit from world-class competition all year long, but the gap is closing. 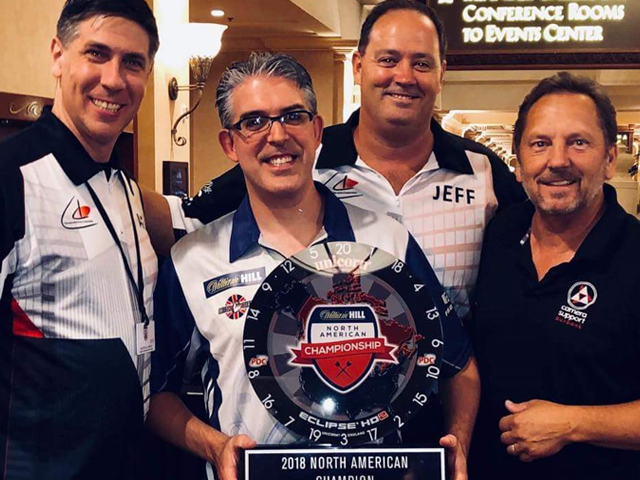 Armed with a legitimate professional tour in the Championship Darts Circuit, North American players have seen their averages rise in tune with increased opportunities, providing optimism for now and the future. Each North American has shown the mettle and skill to be highly competitive — it will come down to stage experience and a fair bit of luck for these underdogs to pull off an upset and make history, but the thrill is in the chase! Chuck is playing the third match in the afternoon session on 18 December. 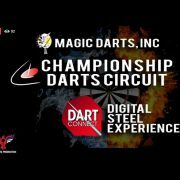 Scouting Report: The lone representative from the United States, Massachusetts native Chuck Puleo qualified for the World Championships by taking the #1 ranking spot in the Championship Darts Circuit, barely edging out Darin Young by defeating this year’s BDO Lakeside qualifier for the USA, Jim Widmayer, on the final day of the tour. Known for high scoring and stone-faced composure, Chuck faces off against one of the PDC’s rising stars, Dimitri vanden Bergh, ranked 35th in the world and back-to-back World Youth Champion. 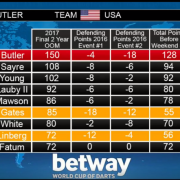 Dimitri has thrown a perfect 9-dart game in a televised tournament this year and is perhaps the toughest draw for the North Americans. Chuck loses his debut at Ally Pally 3-0 to Dimitri, now setting his sights on next year and a possible visit to PDC Q-School in January. Jim is playing the second match in the morning session on 15 December. 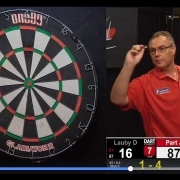 Scouting Report: Canada’s Jim Long has been well known throughout his home of Ontario, but before this past year had not committed himself to play darts seriously or professionally. All that changed as Jim burst onto the CDC scene, traveling to tour stops around the continent and consistently finishing deep into each competition, securing his place at the World Championships as CDC’s top-ranked Canadian. Jim has earned a first-round matchup vs veteran Irish professional, Mickey Mansell, ranked 63rd in the world. This is Mansell’s fourth appearance on the Ally Pally stage, but he has yet to make it out of the first round and likely banking on a turn of fortune against newcomer Long. The most successful of the three North America players, Jim Long puts up a tremendous fight, but loses the 2nd round overtime battle to Benito van de Pas 3-2. Jeff is playing the third match in the morning session on 15 December. 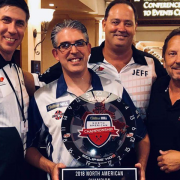 Scouting Report: No stranger to World Championships, Jeff Smith is one of the most experienced North Americans when it comes to international competition and earned his spot by winning the PDC’s North American Championship last July in Las Vegas. Having played at Ally Pally last December, one year after losing in the finals of the 2017 BDO World Professional Championship at Lakeside, Jeff knows full well how to prepare, and succeed, against the world’s best players. He will need to draw on his deep experience to overcome his first opponent, former youth star Josh Payne, currently the 53rd ranked player in the world. Josh has garnered recent successes on the PDC tour in 2018 and has beaten many top-ranked players throughout the year, now hoping to add Mr. Smith to his hit list. After winning the first set, Jeff falls to Josh 3-1 and will now focus on attending PDC Q-School in January. 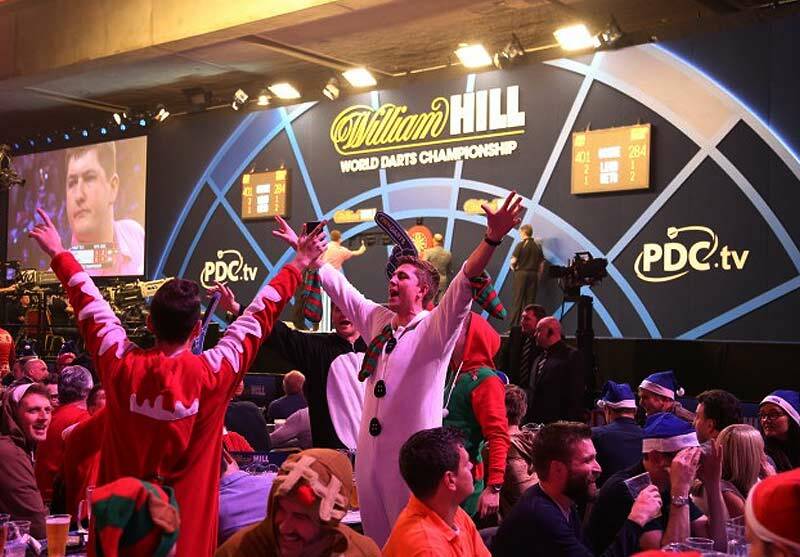 Want to watch the PDC World Championships? 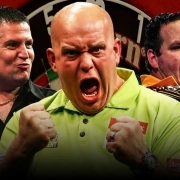 Want to watch the PDC World Championships? Tis the season to check for updates!